Christmas and New Years is over. 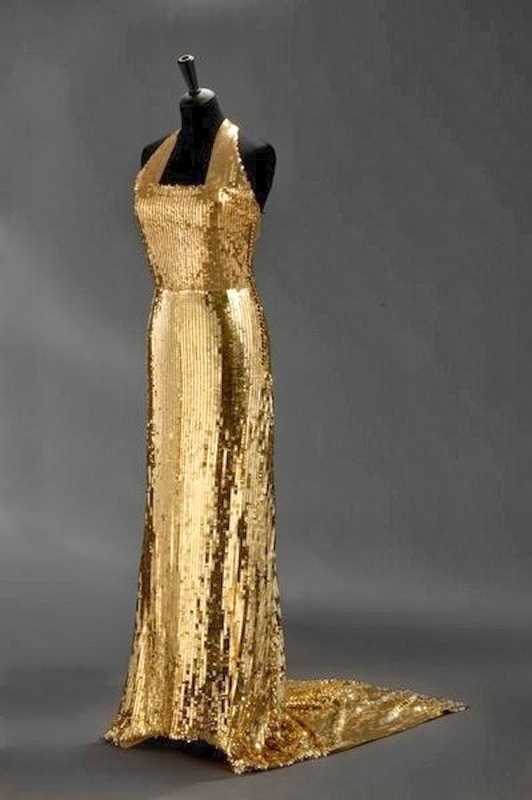 So let's stress down a bit by looking at some amazing dresses from the years that have passed! 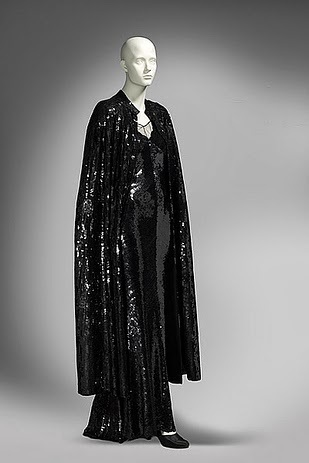 Black, sparkling evening dress with matching cape by Chanel, ca 1930. 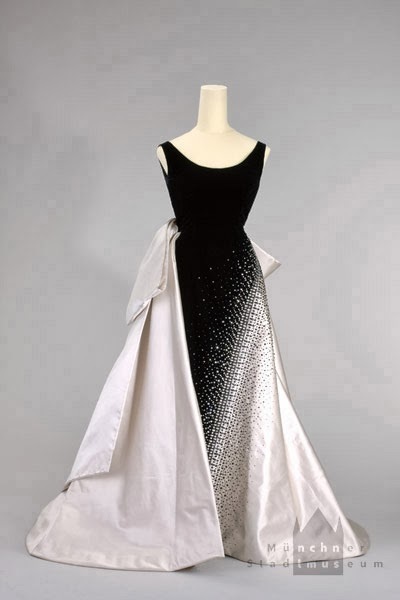 Evening dress worn by Queen Soraya of Iran, by Emilio Schuberth, 1953. 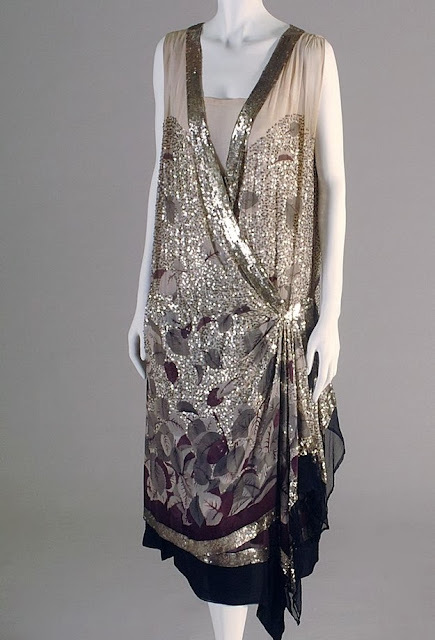 Sequined evening dress by Lanvin, ca 1925. 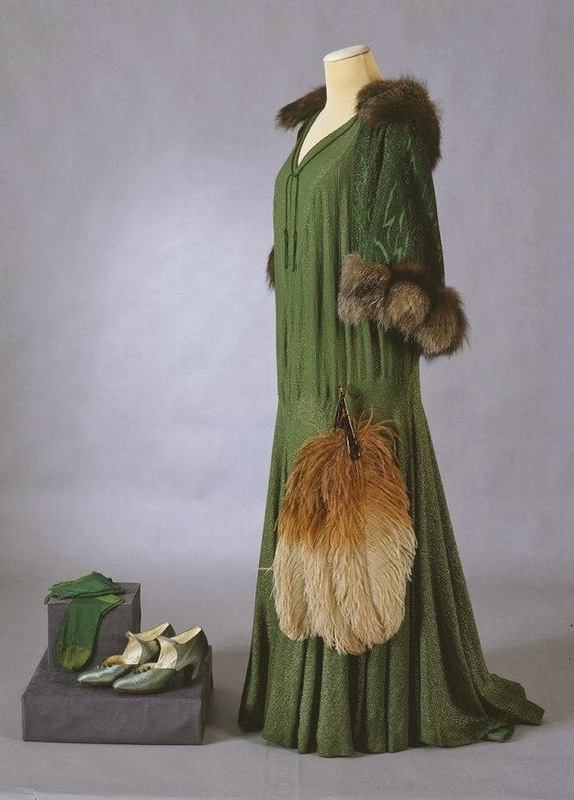 Green evening ensemble with fur trimmed cape and ostrich feather fan, ca 1929. The ultimate glam evening dress! 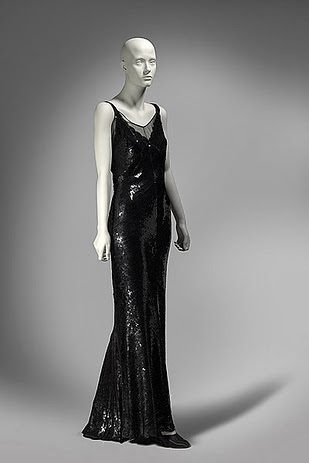 1936. 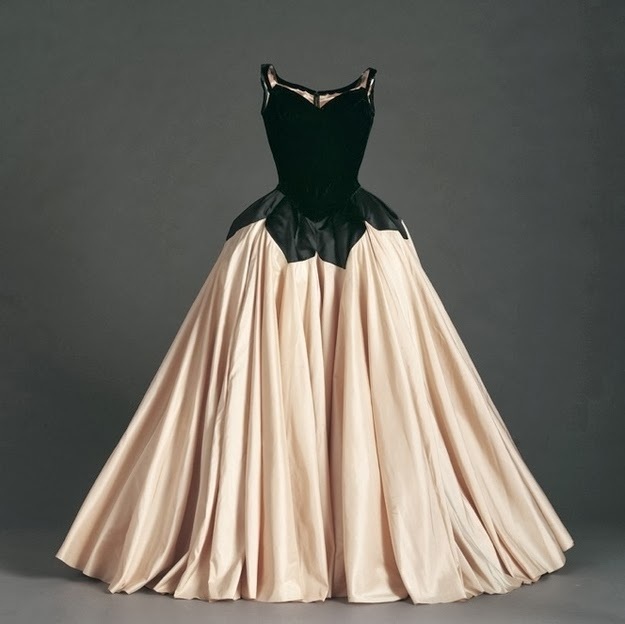 "Petal" by Charles James, 1951. 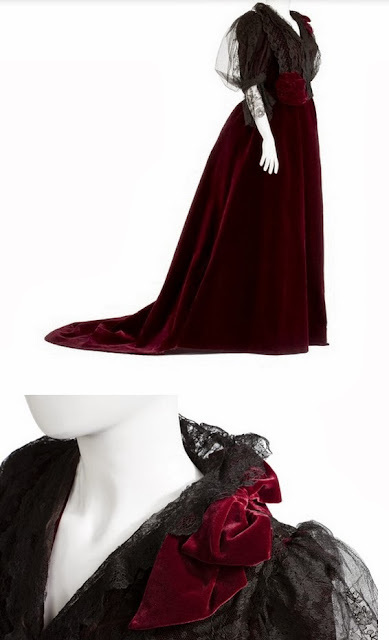 Tea gown by Worth, 1895. 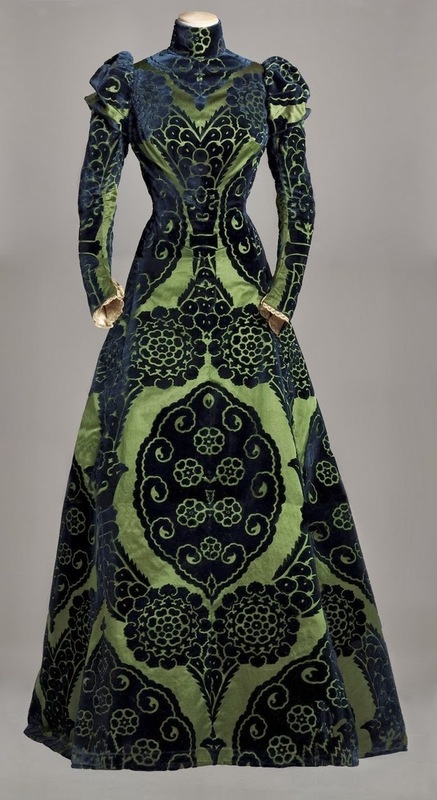 See ladies - THIS is the only acceptable piece of clothing for the drinking of tea! Ja, tack! 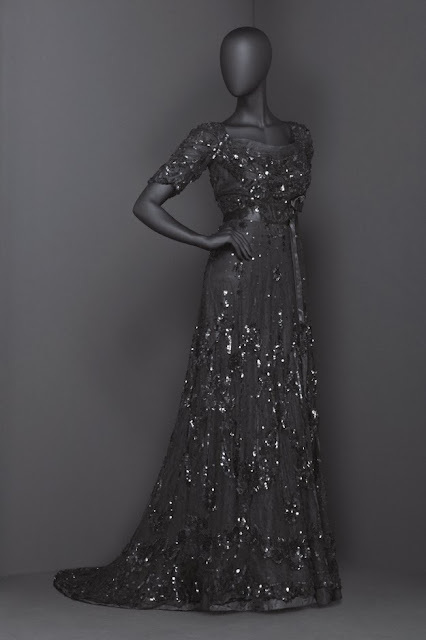 Särskilt den näst sista.